The Union Station Barbershop is the modern, posh barbershop that caters men, women and children who want a great look- and a great experience in the chair. From the moment you walk through the door, they will make you feel welcome and appreciated. 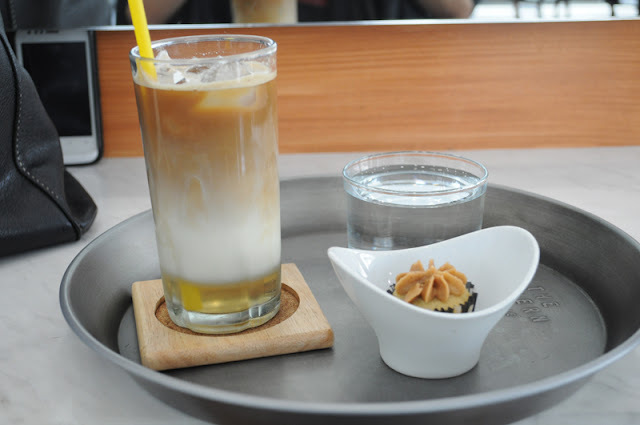 I noticed how the ambience was able to immediately calm my senses and transition my mood from a stress filled workaholic into one with a little more relaxed. 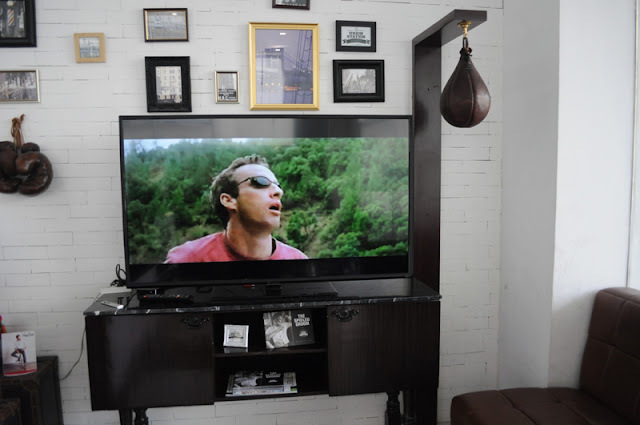 The upbeat music and laid-back atmosphere wash away my cares and restore my energy. From providing entertainment to serving delicious Iced Coffee and cupcake, my needs were being taken care by The Union Station Barber Shop in subtle but impactful ways. I am guilty of murdering my hair when I went blonde and I do feel terrible about it. I decided that it's time to go back to dark and make my hair come alive. I'm glad to discovered The Union Station Barbershop and was able to take advantage of their Rainy Days promo for Keratin + Color Treatment. They used a hair coloring product from France called "Fauvert Professionel"
If you're going to color your hair, which I'll admit is a nice luxury, then be sure you're aware of the brand they are using to avoid serious damage to your strands and will also keep you from coloring it too often. What I love about the hair color they used on my hair is that it stays on vibrant longer. Keratin Complex Smoothing Therapy treatments contain high concentrations of keratin that penetrate throughout the hair structure, and then are sealed within the cortex to repair damage. 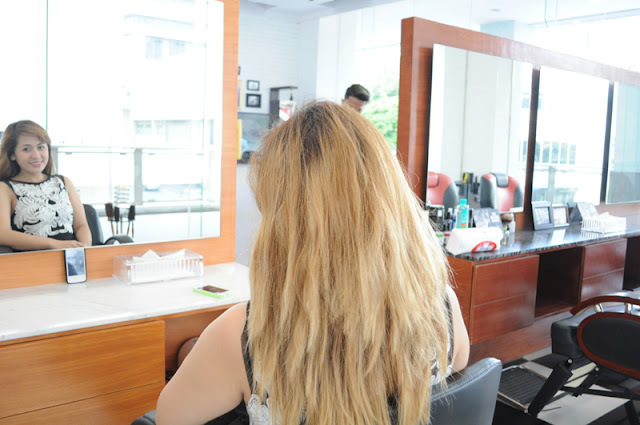 It is a revolutionary technology does not break the hair's bonds, instead delivering the versatility of smoother, healthier-looking hair that can be styled wavy or straight as desired. 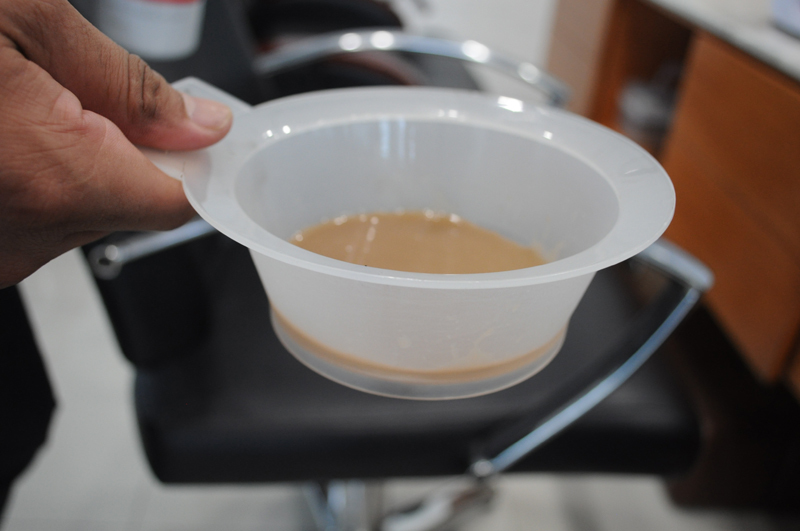 I noticed that the color of the treatment looks like my Iced Coffee and made my hair smells like chocolate for weeks. I did this Keratin + Color Treatment on my hair a few months ago and I really liked the results. It does NOT really make your hair straight but it does made it less frizzy and much easier to tame. It's also super shiny and so soft. I just wish I use sulfate-free shampoo and conditioner so I didn't strip the keratin off and made the treatment last longer. I am planning on coming back again to get another treatment from them. Anyway, My experience with my senior stylist (Bryan) was so pleasant that I would definitely have him look after my hair again the next time I visit. 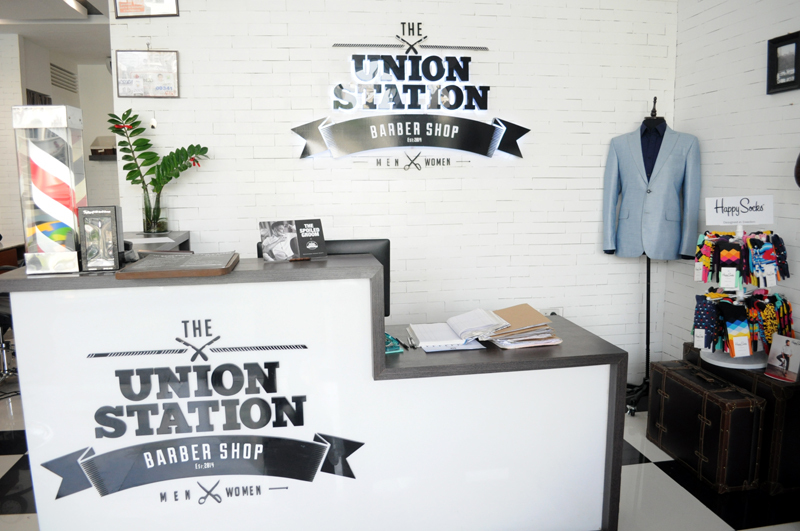 Thank you so much Vannah, Bryan and The Union Station Barber Shop. It's been months and my hair is still fabulous! Take advantage of their RAINY DAYS PROMO!!! 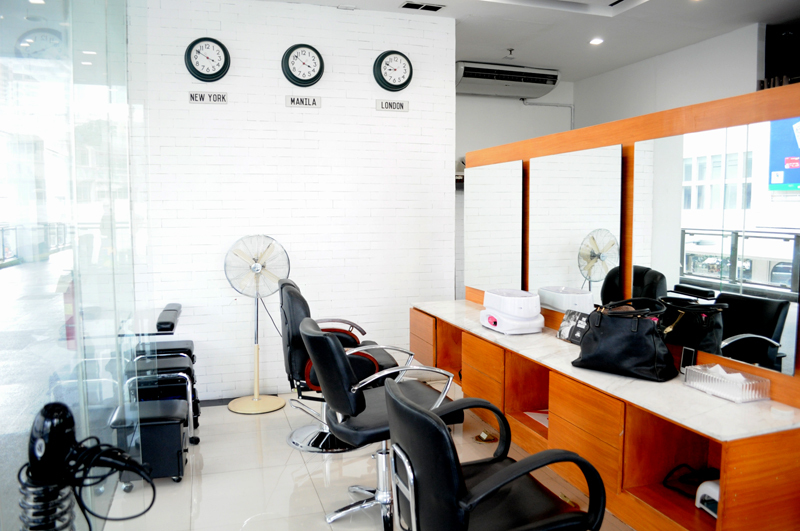 Their talented and friendly barbers and stylists are ready to deliver the personal style you crave at an exceptional value. 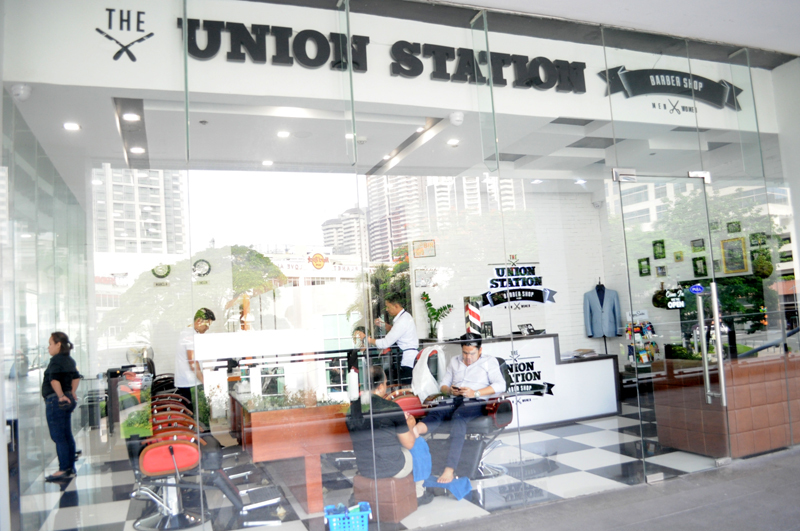 Get up to 50% OFF on your Keratin + Color treatment with The Union Station Barbershop. 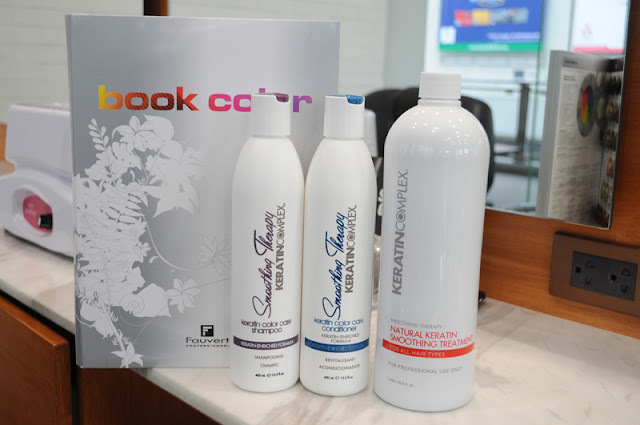 So what are you waiting for, keep that frizz away, like this page and inquire in-store NOW. See details below. 1) The promotion is for a Keratin & Color combination treatment ONLY. 2) Treatment includes: Keratin treatment, choice of color, cut+wash+blow, hot/cold face towel, 10 minute back massage & choice of house blend beverage. 3) Discount is given upon consultation. 4) Discount will be given against the published rates of the treatment. 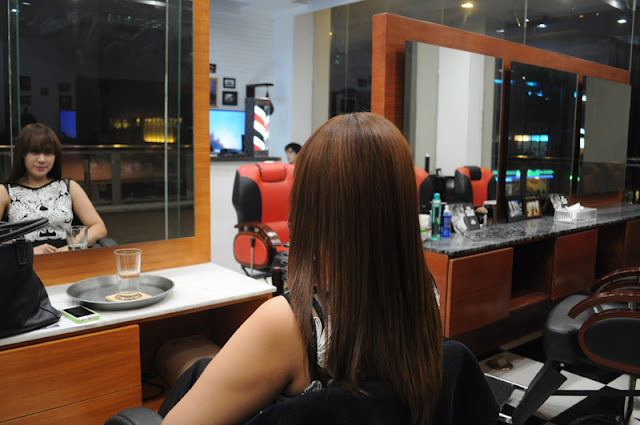 5) Actual price of Keratin & Color treatment is published at Php5,000 for Men & Php10,000 for Women. This is based on average length hair. Price may change according to the length of hair upon consultation. 6) Promotion Available September 30, 2015.
looking young and a still pretty!